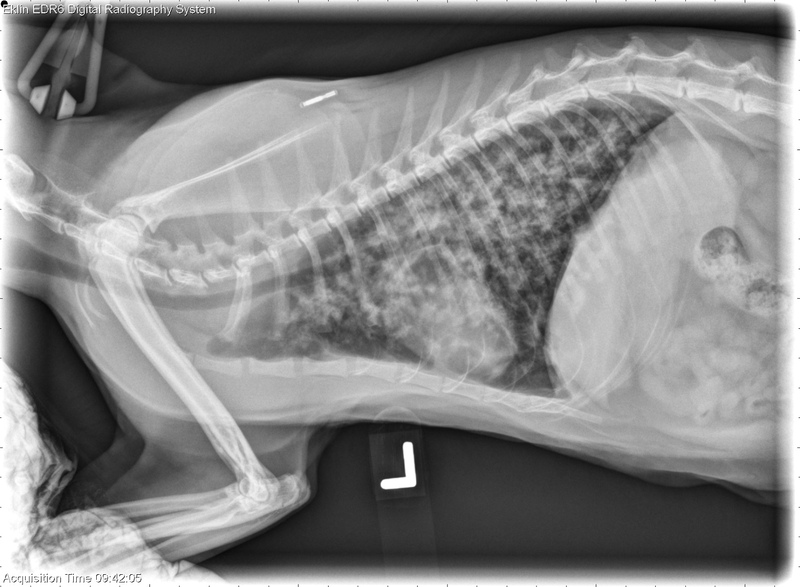 Today’s case is a 2-year-old domestic short hair cat with a 6-month history of waxing and waning tachypnea, respiratory difficulty, and diffuse pulmonary infiltrates. What is your diagnosis? Radiographs: The lung is diffusely affected with multiple patchy ill-defined areas of increased opacity. 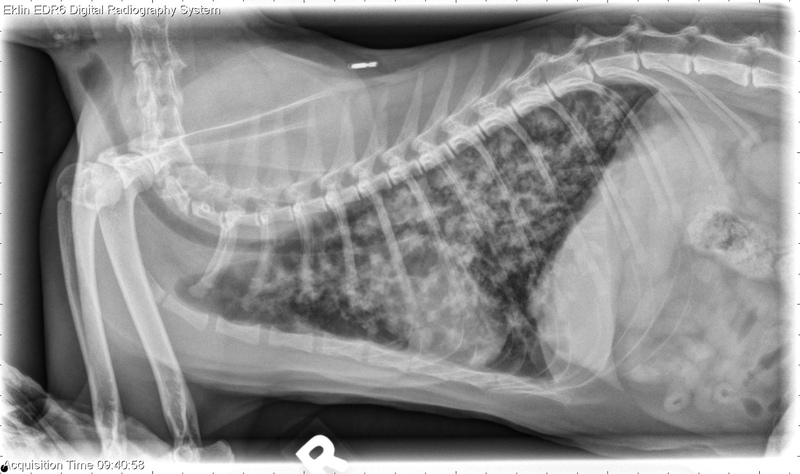 On the radiographs, these seem to be centered around airways. The heart and vessels appear normal. 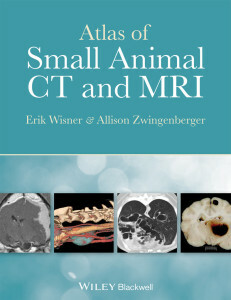 CT: All lung lobes are affected with multi-focal to diffuse, ill-defined, soft tissue dense infiltrates containing focal mineralization. The right cranial and middle lung lobes are affected slightly more than the remaining lung lobes. 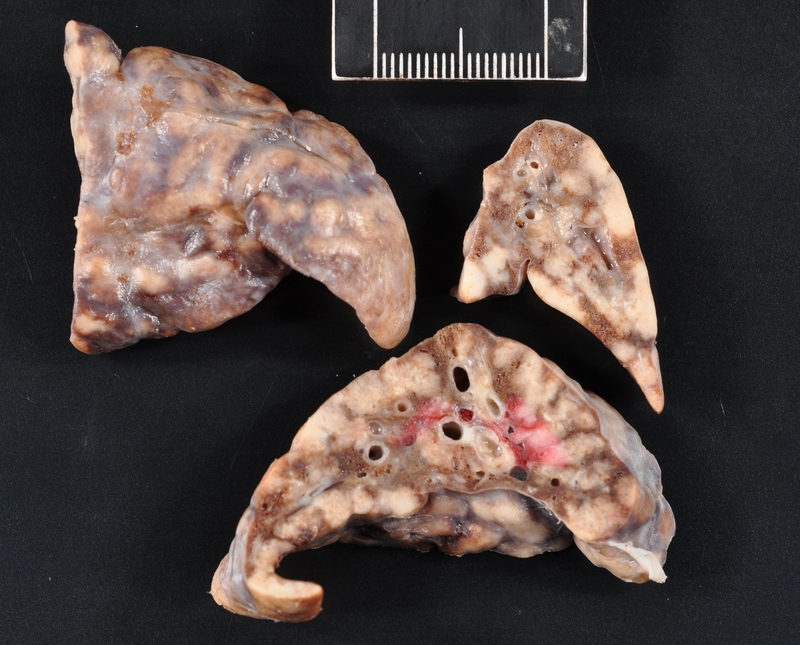 The infiltrates are associated primarily with airways which otherwise are of normal size and taper appropriately. Many of the lesions are peripherally located and extend to the pleural surface. The lungs are hyperinflated. 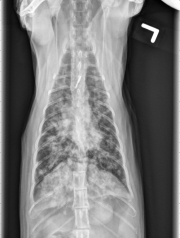 Moderate tracheobronchial lymphadenopathy is identified. Diffuse, airway associated pulmonary infiltrates consistent with severe, chronic inflammatory disease. Infectious causes such as fungal, parasitic or bacterial granulomatous disease as well as non-infectious inflammatory causes can be considered.